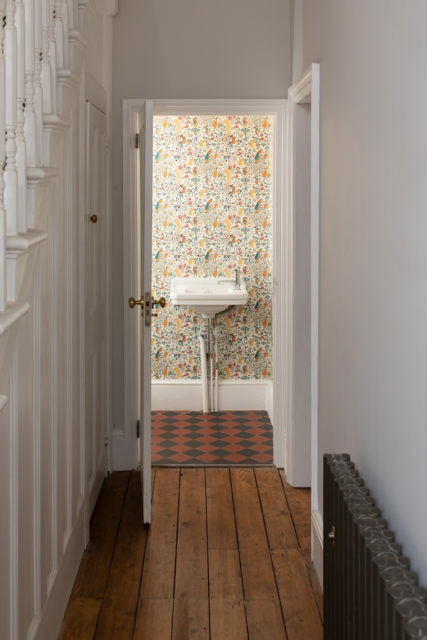 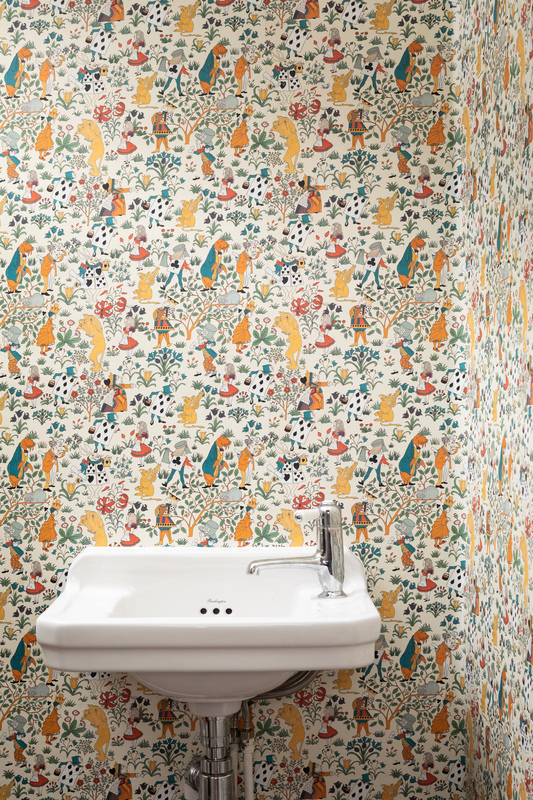 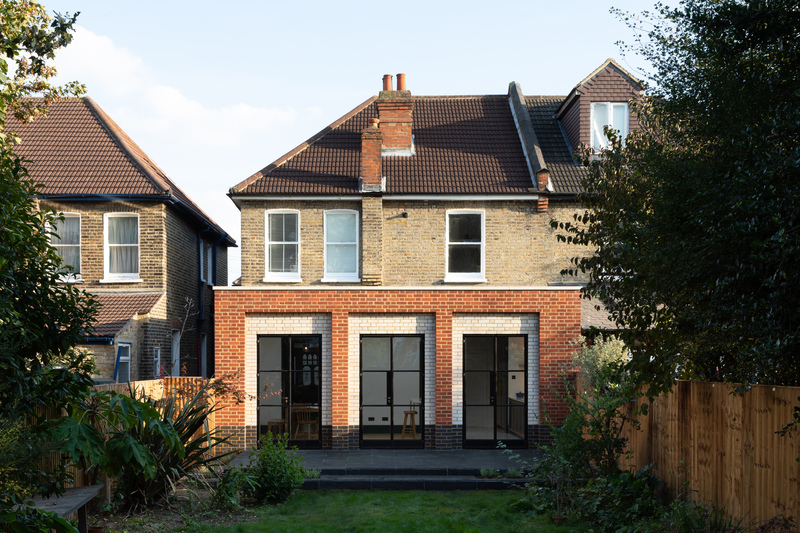 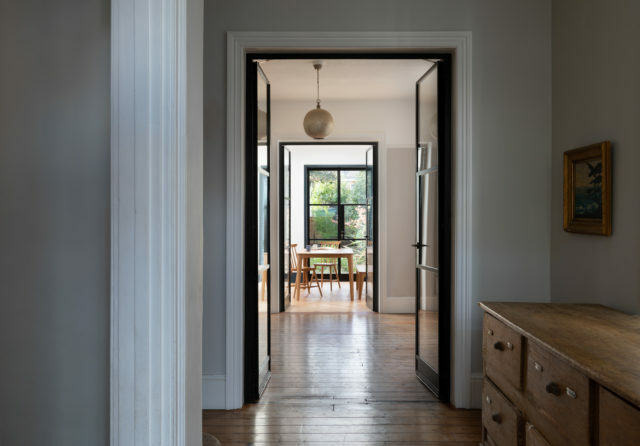 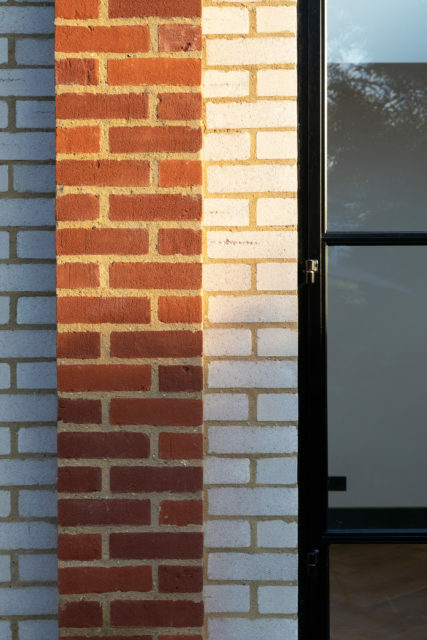 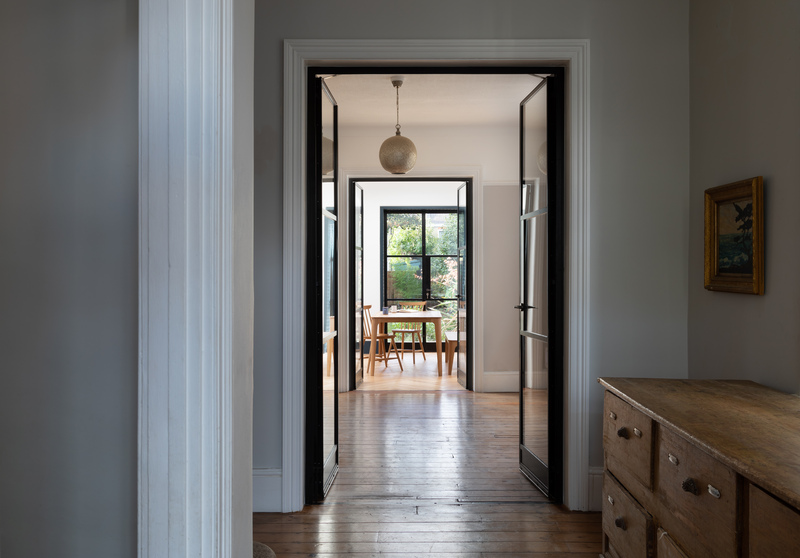 An Edwardian house in East London has been lovingly restored by its owners. 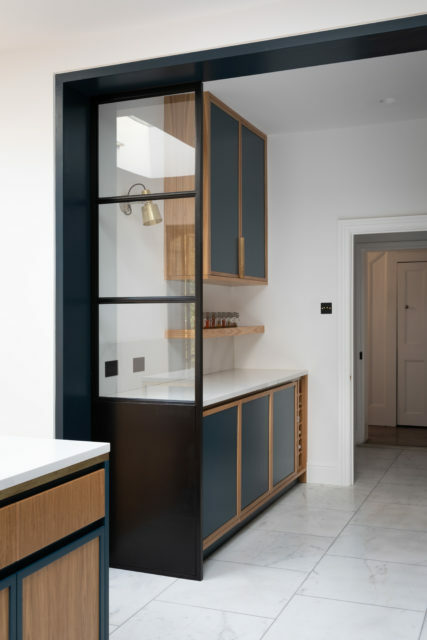 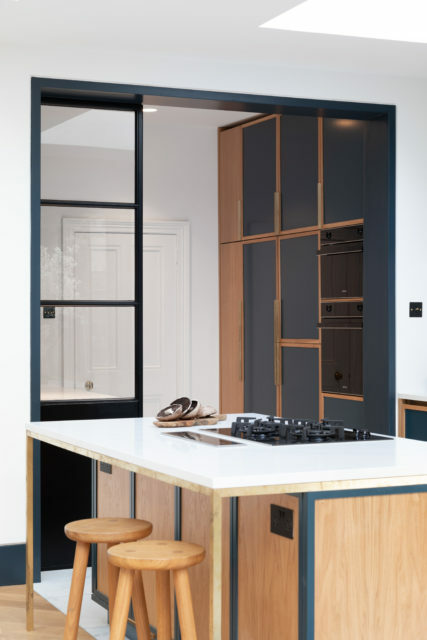 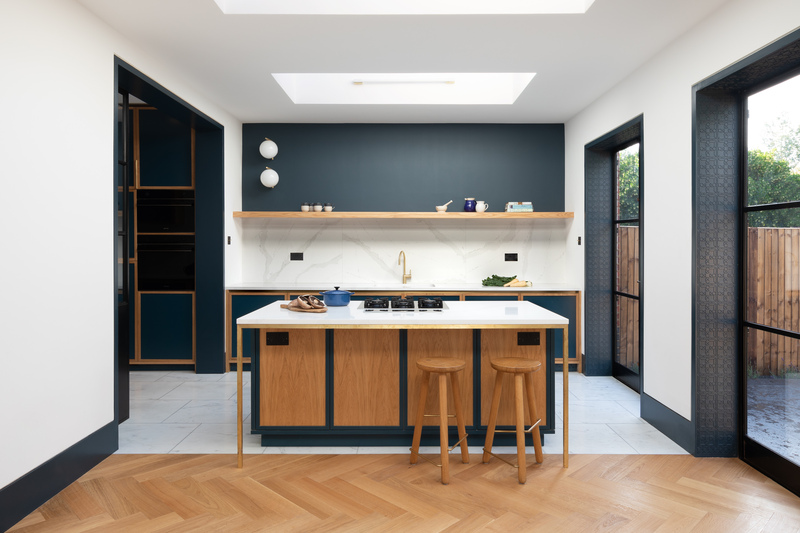 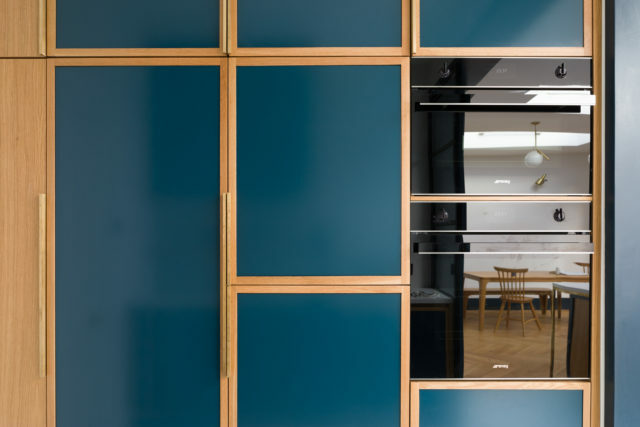 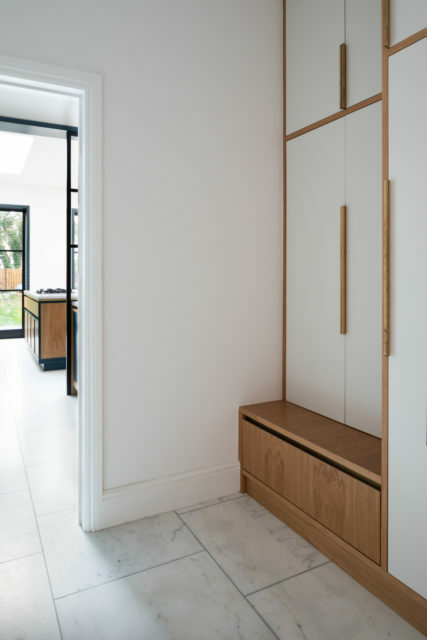 To complete the modernisation into a fully functioning family home, Harp & Harp were appointed to remodel and extend the rear of the property to provide a new kitchen, dining and family space. 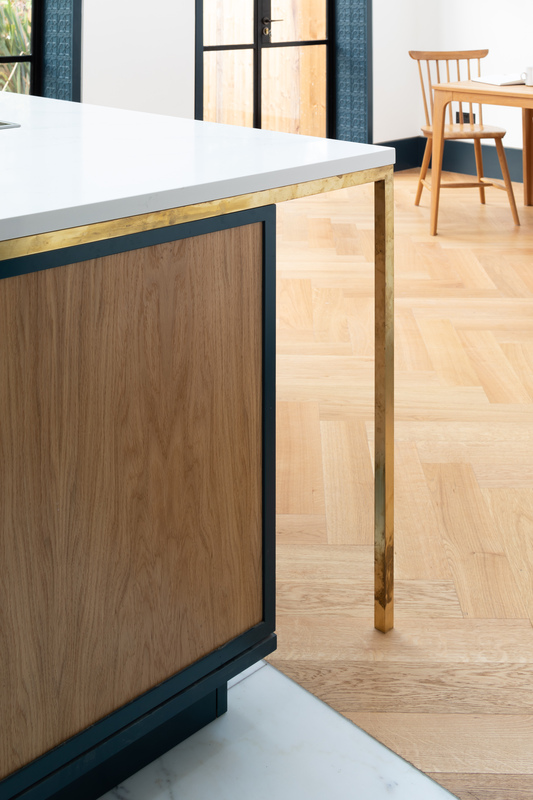 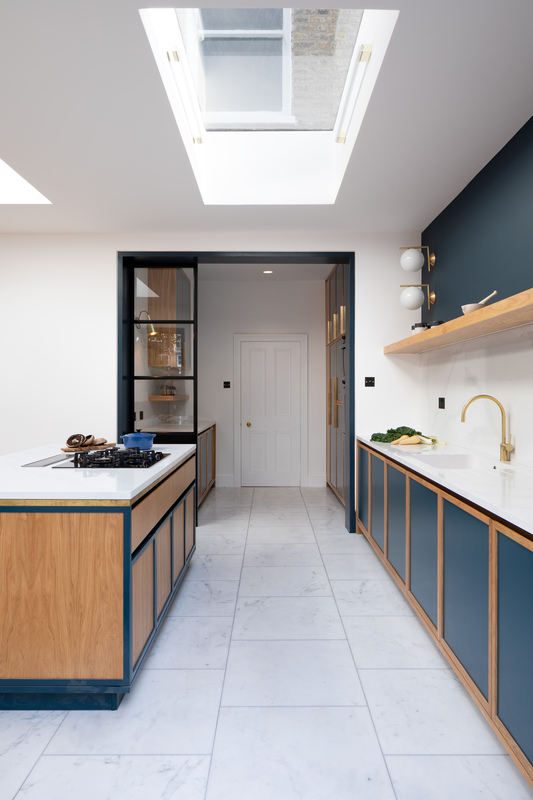 The design proposal provides a large bespoke kitchen of oak, marble and brass with associated pantry and utility room. 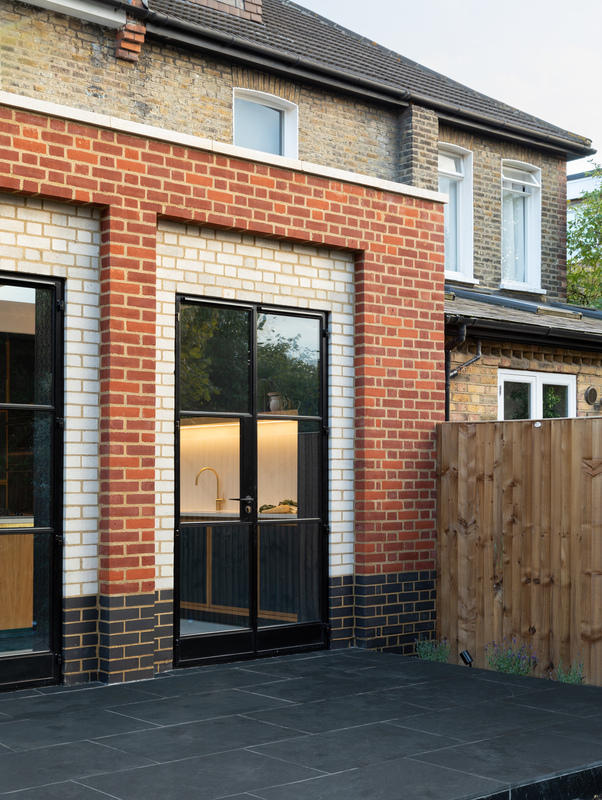 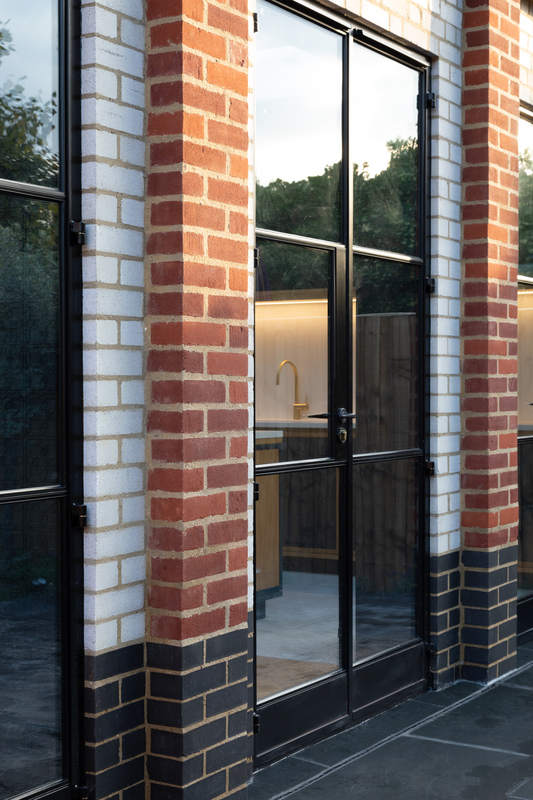 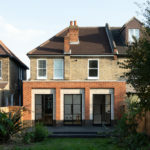 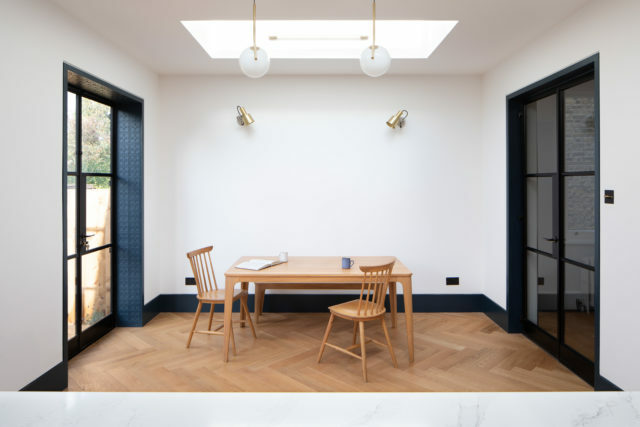 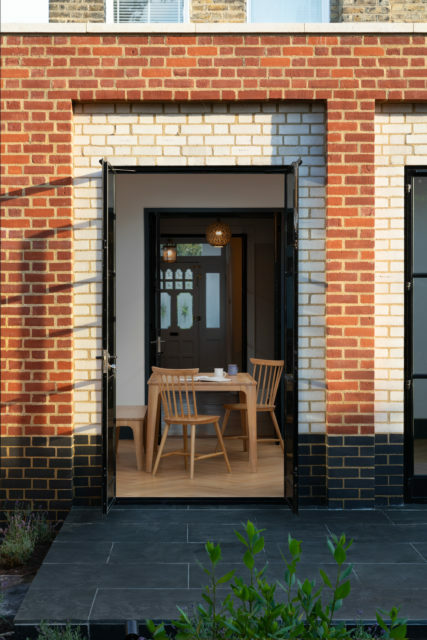 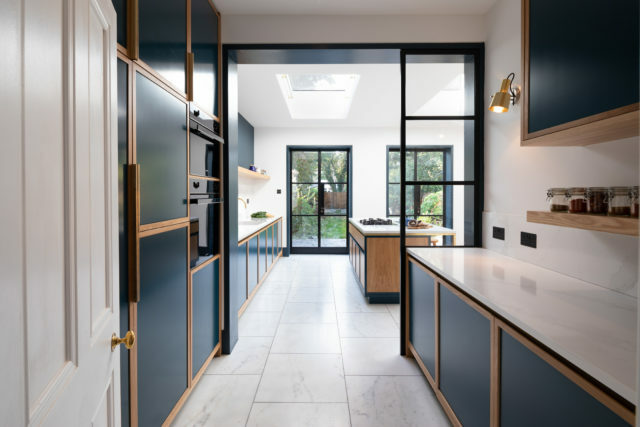 Generous rooflights bring light deep into the plan whilst three double Crittall doors provide a greater connection to the garden. 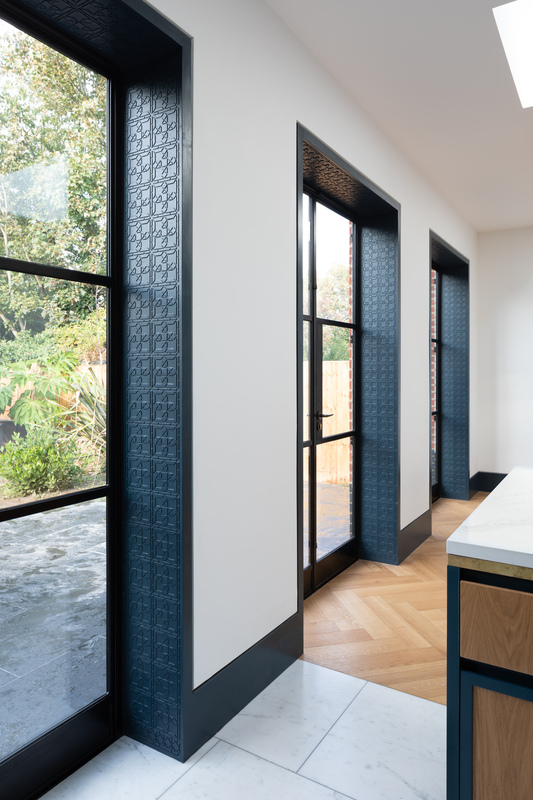 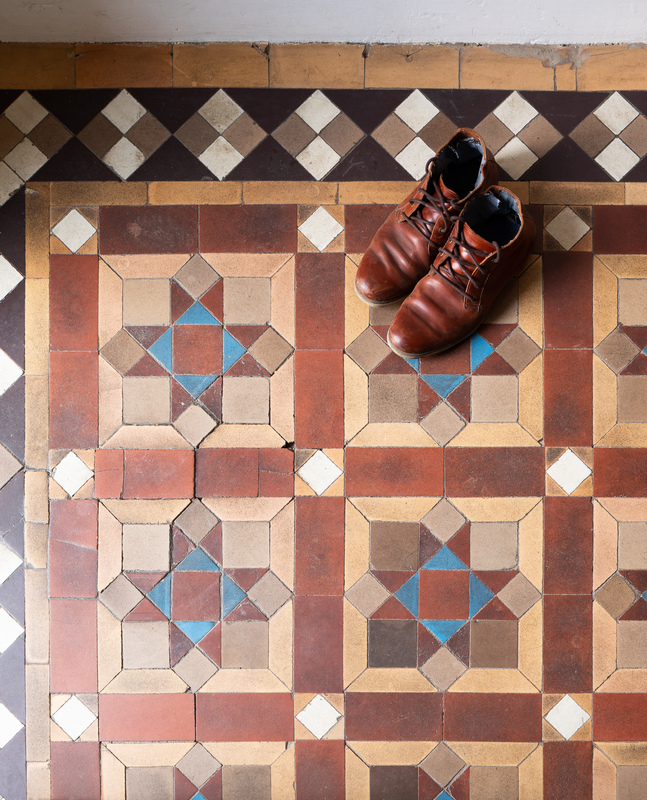 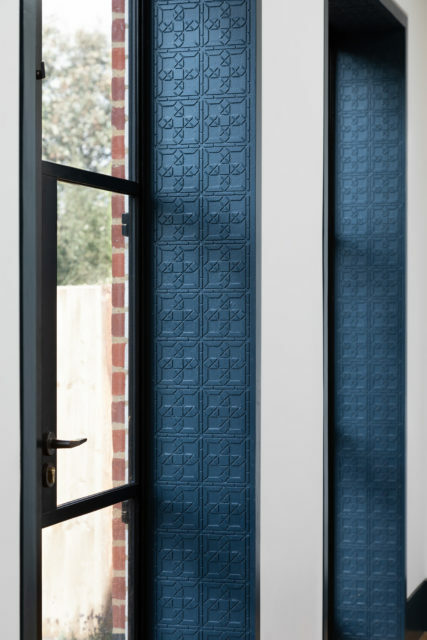 The period features of the house have been referenced in the laser cut door reveals; the pattern used here being an abstracted form of the original geometric tiling found in the entrance hall and entrance path. 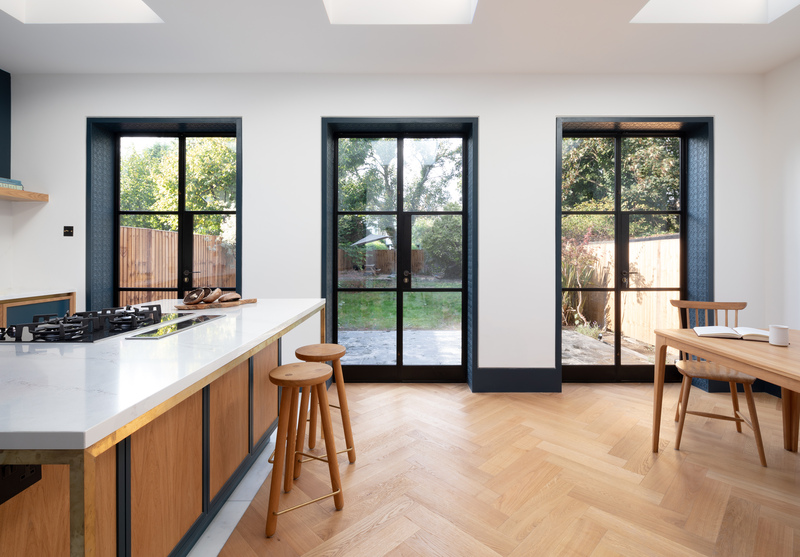 Harp & Harp provided a full service including Architecture, Interior and Kitchen Design.